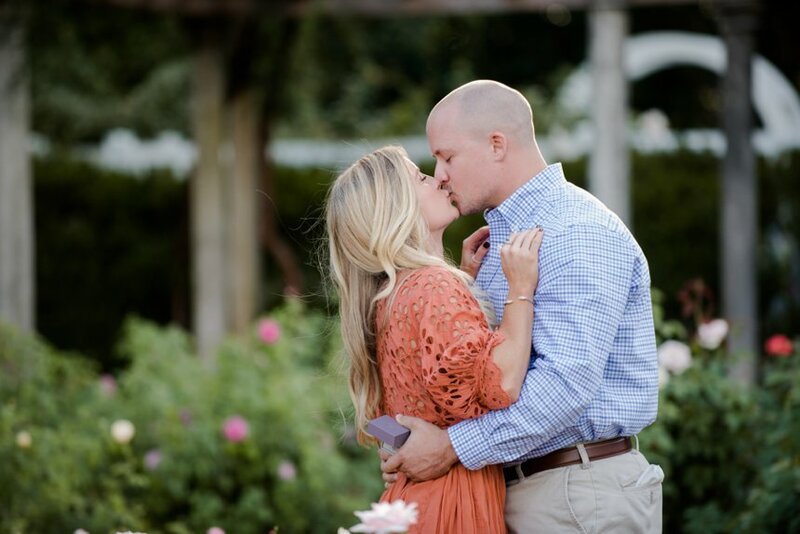 A few weeks ago, the phone rang here at Kelli & Daniel Taylor Photography, LLC. Kelli picked up and Andrew was on the line. 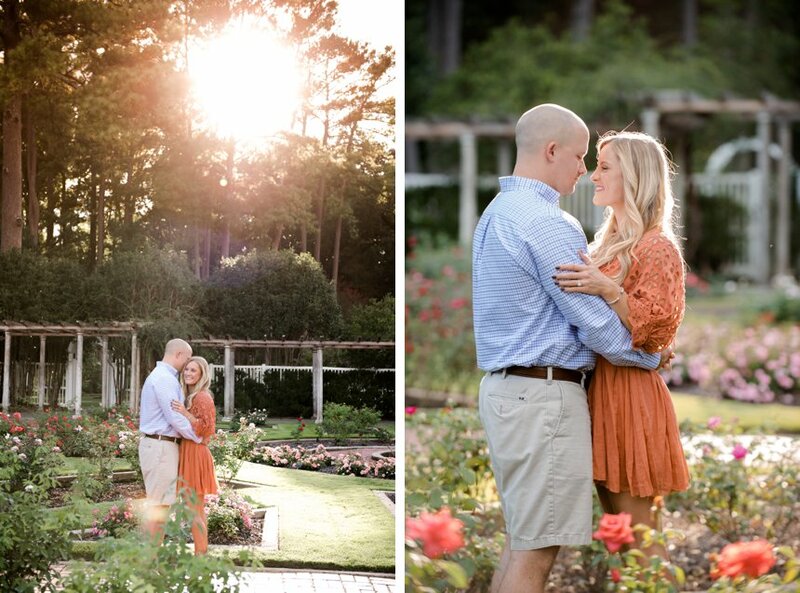 He asked if we could photograph a surprise engagement proposal at the Birmingham Botanical Gardens. Could we? That’s one of our very favorite things to do. 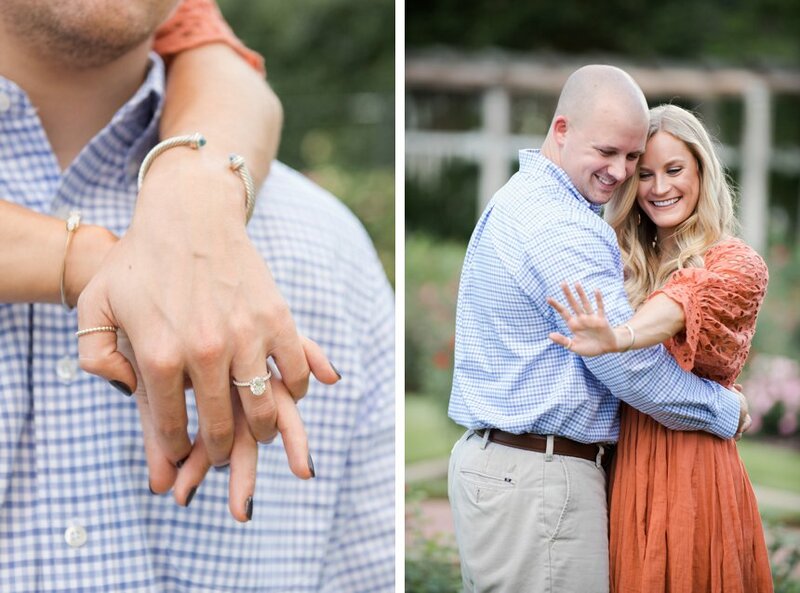 The ring was ordered and Andrew was planning to pop the question to his long-time girlfriend. Christian, a former University of Alabama cheerleader. He chose the Friday of Labor Day weekend. What a way for these two Alabama grads to have their own college football season kickoff, right? 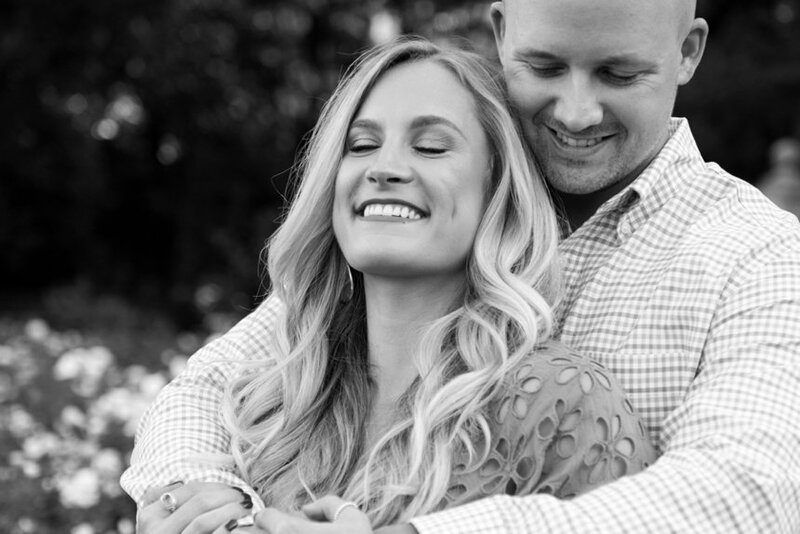 In nine years of full-time wedding photography, we’ve never seen a groom on such a mission for perfection for his fiance-to-be. Both moms were in on the selection of photographers (which we think is a GREAT idea). He texted photos and videos of the spot he had in mind, along with the exact times and where the sun was positioned for ideal photographs. 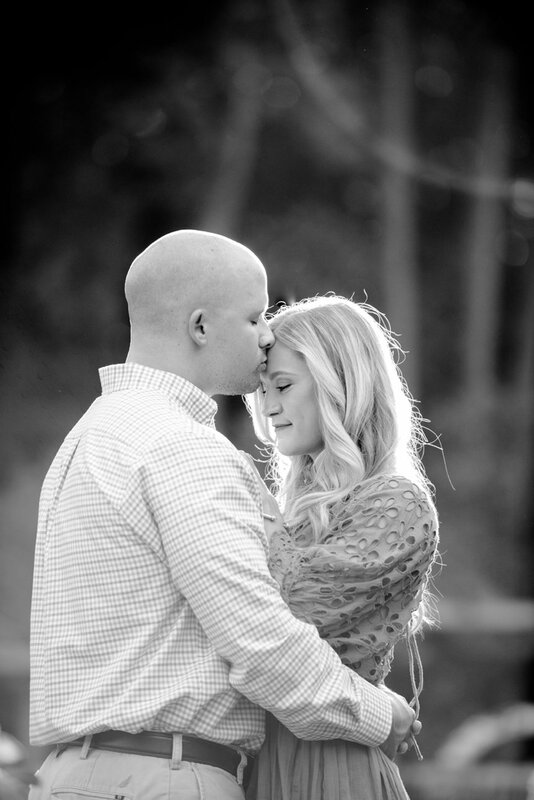 Andrew sent some of her favorite Pinterest engagement photos and explained what he thought she was looking for. We spoke on the phone and exchanged dozens of texts plotting and planning. Andrew really liked the idea that, with two photographers, the moment would be captured from two different angles. We always think two photographers are better than one. We even got a code name in Andrew’s phone to keep Christian from getting suspicious. What would any good Alabama grad choose? Bryant, of course! 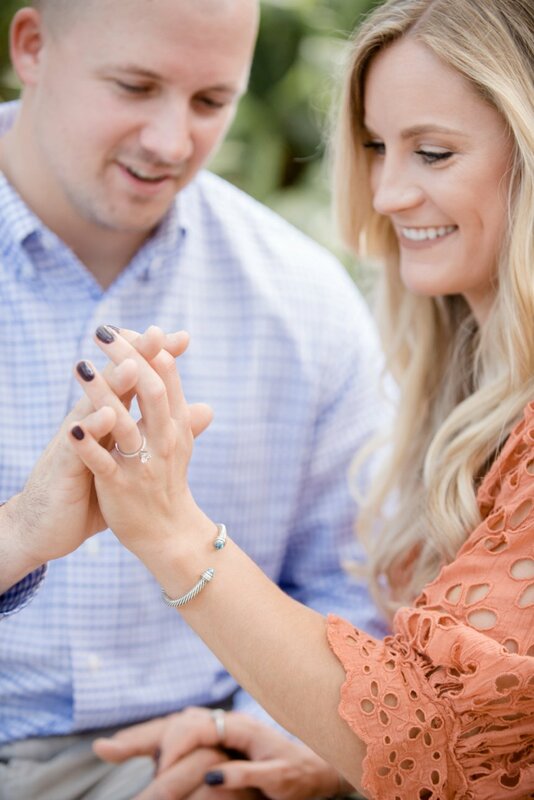 About a week before the big day, Andrew sent a video of the stunning Diamonds Direct engagement ring. It literally sparkled like it had an Instagram filter on it. Andrew had concocted a story that a friend was having an event at the Birmingham Botanical Gardens. He texted us their exchange when he got her answer that she had fallen for his cover story. 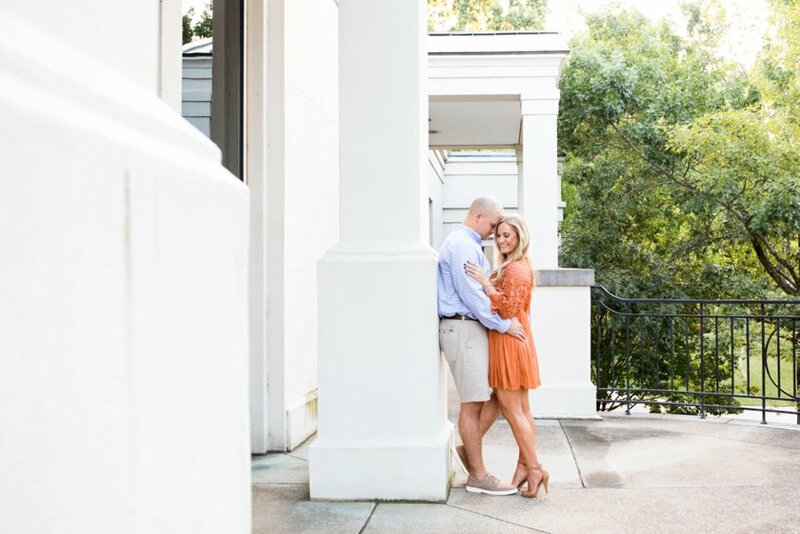 He had even arranged for their families to meet at Carrigan’s downtown right after the proposal, with yet another cover story at Christian’s parents were at the beach. 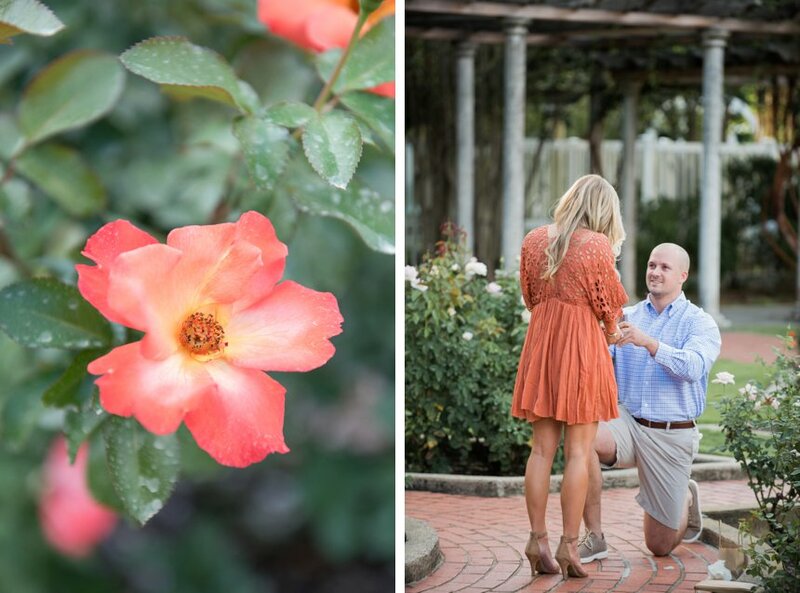 It was shaping up to be surprise proposal perfection and this man was sitting on ready. We know Andrew had some nerves, but Kelli was a close second. 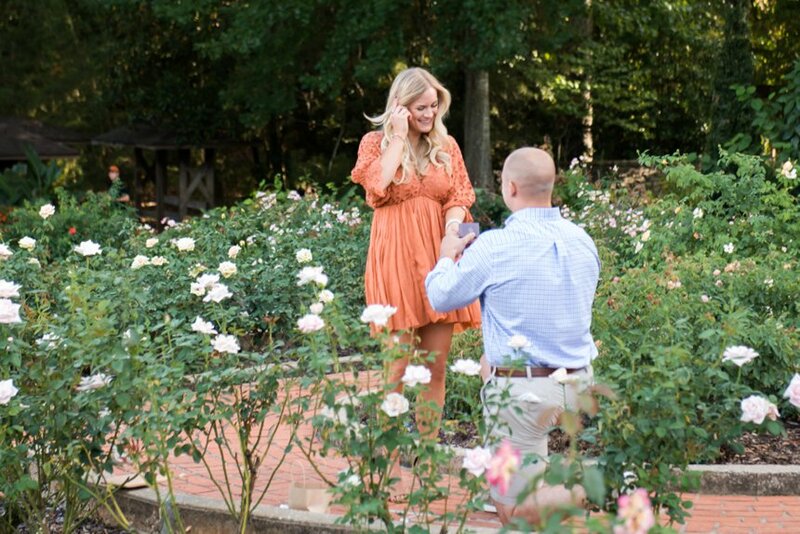 While we’ve done surprise proposals before and they’ve all gone beautifully, this one was different. Nothing was left to chance. We got Andrew’s text updates throughout the day, including the final one from the parking lot. They were on their way into the Rose Garden. We stashed our gear behind some hedges and busied ourselves with lots and lots of flower close-ups so we didn’t look too suspicious. The plan was that the couple would stroll around for a few minutes, take in some of the scenery, and make their way over to the confirmed spot. Andrew would give us a signal by taking both her hands before dropping to one knee. It’s the closest we’ve felt to being on a military operation or a Jason Bourne movie. Everything went perfectly. Christian teared up and said yes, sealing the deal with a hug and a kiss. Andrew then waved us in and introduced us to his newly minted fiance. 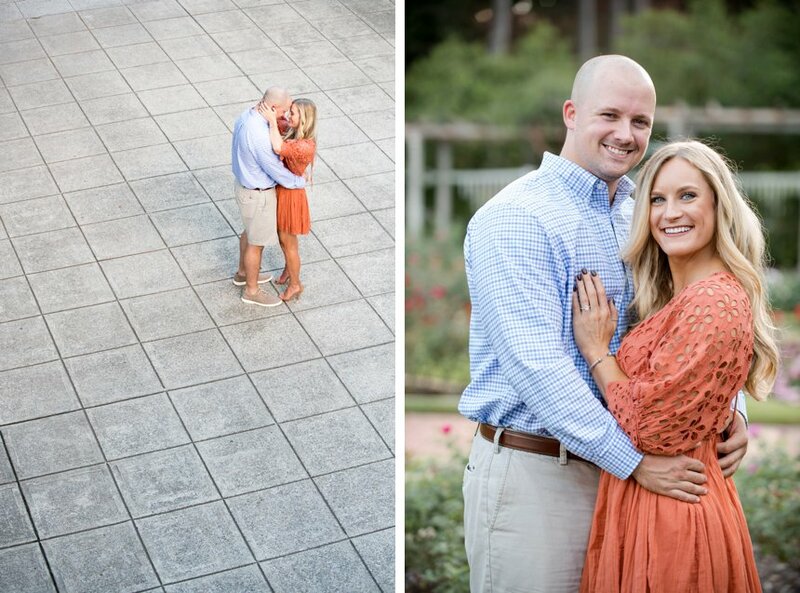 Thinking she was going to a party, Christian was more than camera ready for a mini engagement session. They had sneak peeks to them that night and their full gallery the next day. 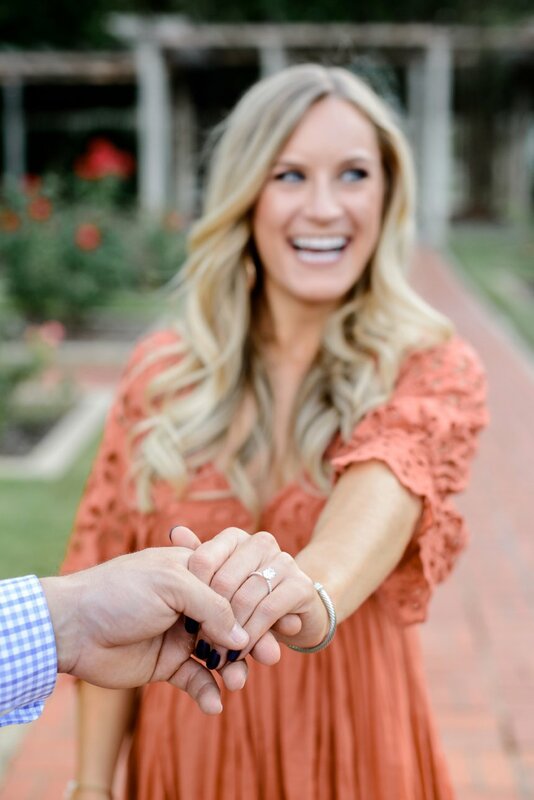 We had so much fun being part of Andrew and Christian’s super-secret surprise proposal. We wish you both a lifetime of happiness. 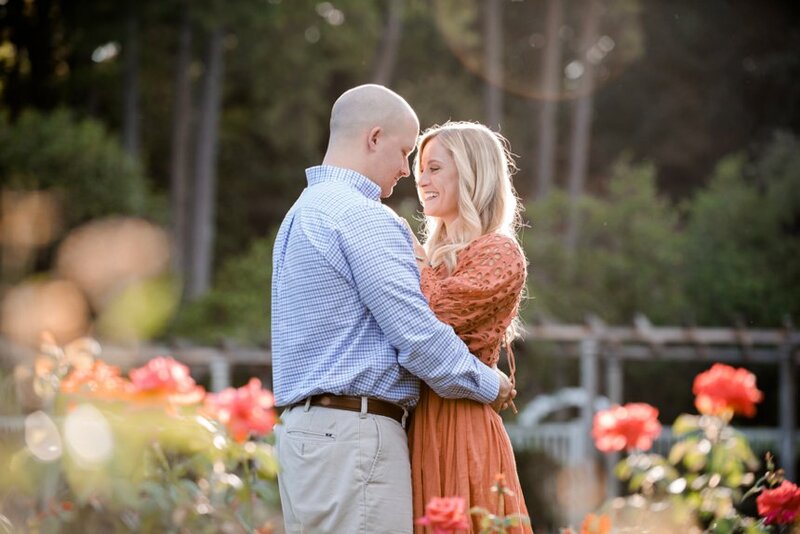 For more engagement inspiration, check out Kendal and Jesse’s vineyard photo session.